Item Number: 238-1-11 19645 Actual Weight: 22 lbs. 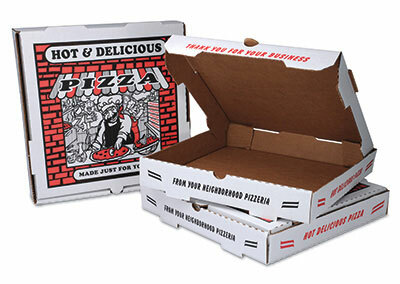 Heavy-duty corrugated boxes are made using 100% recycled paper and protect your pizza while keeping it hot. Meets FDA specifications for food contact. Kraft interior. Unprinted style also available.